The paperback edition of this landmark resource, now available in the Third Edtion of this NABRE translation, contains all the authoritative study notes, expanded essays, and informational sidebars for which it is known and trusted. 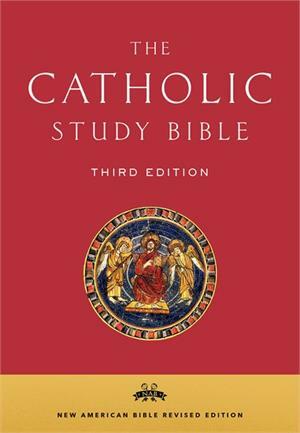 The heart of this volume remains its extensive Reading Guide that leads the reader through the Scriptures, book by book. References and background information are clearly laid out in the margins of the text, guiding the reader to a fuller understanding of the Bible. Study Features: 15-Page Glossary of Special Terms, Complete Sunday and Weekday Lectionary Readings for the Liturgical Years of the Church, 32 Beautiful Pages of Full-Color Oxford Bible Maps. 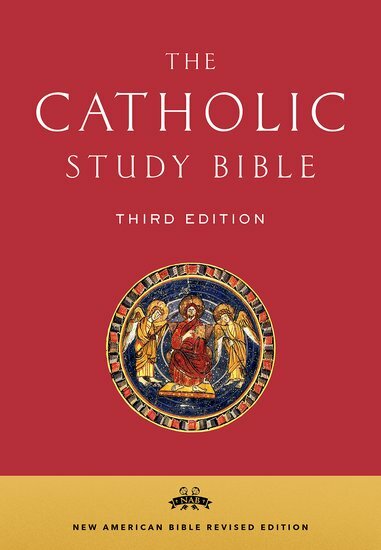 Printed on smooth, durable paper and bound with the highest quality materials, the Catholic Study Bible is an incredible value. It is available in three attractive and affordable bindings: black bonded leather, hardcover, and paperback. The New American Bible Revised Edition (NABRE) brings to culmination the work of nearly 100 scholars, including translators, editors, and a subcommittee of Catholic bishops who provided extensive review of the biblical text over a period of many years. The NABRE is the first major amendment to the New American Bible translation since 1991. It features the first update of the Old Testament since 1970, taking into account recent archaeological and textual discoveries. Complete revision of the Psalter. 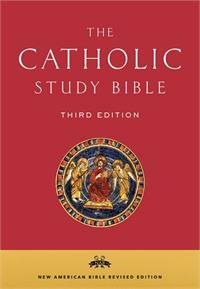 NABRE Catholic Study Bible in hardcover.Highly recommended for scripture study with a class or alone. Contains articles, introductory sections for each book of the bible, an index to study material, extensive footnotes and glossary. Thumb indexed. The contents of the bible are great, but had I known that the pages and cover would be so thin I would have ordered a leather bound bible. I wish the print could have been a little larger and darker.